Business sales tax debt is a serious situation that should not be taken lightly. If you’re a business owner facing sales tax debt, you need to understand your circumstances and make an informed decision to handle the situation as quickly as possible. The longer you take to address issues such as sales tax debt, the more difficult it can be to resolve your debt with the IRS. Failure to resolve sales tax debt can have serious consequences, and you’ll want to open a dialogue with the IRS as soon as possible. The consequences of failing to resolve your debts with the IRS can vary from one situation to the next, but in almost all cases, these consequences are quite severe. Fortunately, you have options available to take steps to efficiently come to an arrangement with the IRS to address your sales tax debt before actions are taken against you or your business. Before we look at steps you can take to resolve your debts, it may be helpful to understand how businesses find themselves facing tax debt scenarios and how to avoid these issues. This information can be invaluable in your efforts to avoid facing sales tax debt situations in the future. A number of potential scenarios may lead to a business owing back sales tax debt to the IRS. For the sake of simplicity, we’ll explore some of the most common scenarios here. You should understand how these situations come about so that you can take steps to avoid them. The best way to handle sales tax debt with the IRS is to avoid circumstances which lead to them. You are unable to validate a deduction during an audit. You fail to report all of your business income and the IRS discovers this discrepancy. You are found guilty of non-criminal tax fraud. You are found guilty of criminal tax fraud. In either case, you’ll face an additional tax penalty of up to 75 percent of your tax deficiency. If you’re found guilty of non-criminal tax fraud, the penalties may likely end at this stage. If you are found guilty of criminal tax fraud, however, you may face serious legal charges in addition to the 75 percent tax penalty. Both of these scenarios are somewhat rare, though. The IRS will generally not take this course of action unless sufficient evidence of intentional fraud exists. 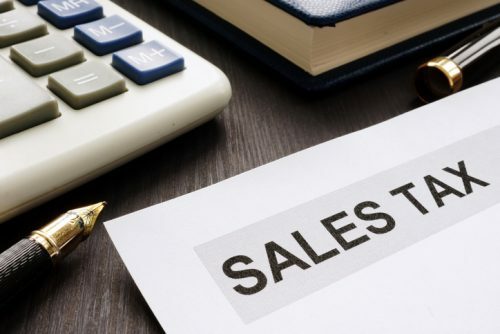 Now that you have a basic understanding of some of the most common scenarios that lead to business sales tax debt, consider some steps you can take to avoid these issues in the future. The best way to handle business tax debt situations is to prevent them from occurring in the first place. It’s important to have a solid plan of action in place to make sure you don’t allow any of these scenarios to happen. The first and, possibly most obvious, solution is to make sure you’re always engaging in honest and transparent business practices. Even if the IRS identifies a discrepancy in your financial reporting, the penalties will be much less severe if you can demonstrate honest intent in your actions. By keeping your business practices honest and not using funds reserved for taxes for other business purposes, you’ll be protecting yourself against the most severe possible actions that may be taken against you and your business. You’ll need to take steps to make sure your taxes are always filed and paid on time. Some of the most common tax penalties occur simply because business owners fall behind in their filing and payments. Using financial software is one way to make sure your taxes are current. Many business financial software offers features that help you track your tax obligations, estimate taxes owed, and provide you with reminders when it’s time to file and pay your taxes. Of course, the most accurate and reliable way to avoid sales tax debt scenarios is to employ the services of a professional accountant. In the event you happen to be facing tax debt, a professional service such as Solvable can help you navigate the situation and come to an agreeable arrangement to resolve your debts with the IRS. Facing sales tax debt can be a stressful situation, but you’re most likely not in as much trouble as it may initially seem. The most important step you can take in these situations is to remain calm and think rationally. Your first order of business should be to contact the IRS and inquire about steps you can take to resolve your debt. In most cases, you won’t be expected to pay the entire amount all at once, although this decision will depend on the specific nature of your debt. One of the most popular solutions is to ask the IRS if you can set up an installment plan. If the IRS agrees to your request, which they’re inclined to do in most cases, you’ll have up to 72 months to pay off your debt. An affordable monthly payment will be established, which is based on your business income and available assets. Keep in mind, however, that your debt is still accruing interest on a payment plan, so you’ll want to pay the debt off as quickly as possible. The longer you take, the more money you’ll ultimately end up paying. If you’re unable to make a financial commitment to pay down your debt, a temporary solution is to file for “Currently Non-Collectible” status with the IRS. If you’re facing situations such as unemployment or making payments would leave you without enough money to provide for your basic needs, this solution can help you gain some time to stabilize you financial situation before collection actions resume. This solution, however, is not permanent. If you’re honest with the IRS about your financial situation, it may be possible to obtain an “offer in compromise.” This solution doesn’t completely remove your debt, but the IRS may be willing to settle for less than you actually owe. The burden of proof is on you, however, and you’ll need to provide sufficient evidence that paying the full amount of your debt would create a financial hardship. The best way to settle your debt with the IRS is to contact a professional organization, such as Solvable, which can enter into sales tax debt negotiation with the IRS on your behalf and establish a solution that will work best for all parties. It’s important to address your business sales tax debt as quickly as possible. Taking too long, or ignoring your debt altogether, can have serious consequences. Below are only a few of the potential actions that the IRS may take against you or your business if you fail to properly resolve your tax debt. Possibly the most obvious consequence you may face is the fact that the longer your debt continues unresolved, the more interest you will accrue. Ultimately, you will spend a longer time paying down your debt. In addition, you’ll end up paying more money in the long run, as well as facing potentially higher monthly payments when you do set up an installment plan with the IRS. To avoid this situation, it’s important to address your debt with the IRS as quickly as possible. Unlike earnings garnishments, a non-earnings garnishment does not offer protection based on your available assets. The IRS is able to take as much as needed in order to satisfy the debt you owe. If a garnishment isn’t possible, the IRS may take steps to place liens against any property you own. A lien is a notice to your creditors that the United States government has claimed rights to your property, preventing you from selling or trading the property in question until your tax debt has been resolved. In extreme cases, the IRS might place a levy against your property, giving the IRS the authority to immediately seize the property in question to satisfy your tax debt. In almost every case, unresolved business sales tax debt is going to have a negative impact on your credit scores. This impact may affect only your business credit score, but it does have the potential to affect your individual score as well. This effect on your credit score can last a long time, making it difficult to obtain business or personal loans, purchase property and equipment, and engage in business with companies that check the business credit score of potential vendors and partners before making any type of agreements. To avoid these potentially serious consequences, it’s important to take steps to resolve your debts as quickly as possible. Navigating these situations on your own can be tricky and a bit intimidated. It is highly recommended that you contact a professional organization, like Solvable, that specializes in helping business owners work with the IRS to find out how to negotiate sales tax problems and resolve sales tax debt. Hopefully, the information provided here will help you not only to resolve any current debts you may owe, but also avoid ending up in a similar situation in the future. If you need help with sales tax debt negotiation with the IRS, contact a professional at Solvable as soon as possible. We’re here to help you get back on track and will work with the IRS on your behalf to find the best possible solution for your specific situation. Previous PostPrevious What Are the Eligibility Requirements for Tax Forgiveness? Next PostNext How Does Debt Relief Work?